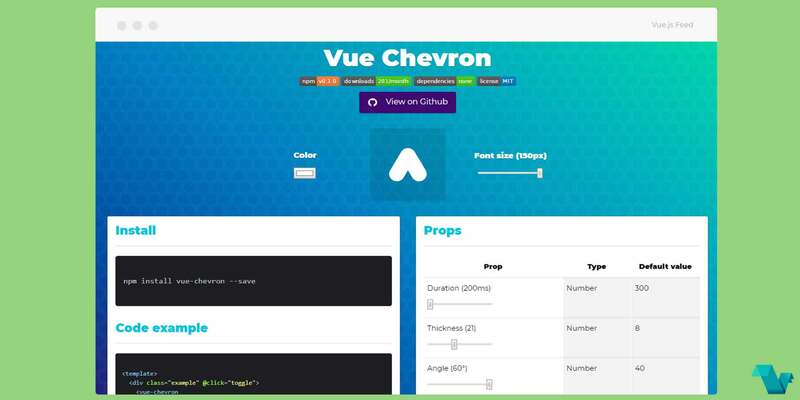 vue-chevron can be used as an animated chevron icon in Vue.js projects. To see how to implement Vue Chevron, follow the simple example below. And there it is, a toggleable element content easy and fast. Note there is also an option for Easings but are not included to keep the library size minimum. Pass in your own easing functions to get the desired effect.